Baby burp cloths. You will receive a set of three burp cloths. Chevron, Houndstooth, and Polka Dots. 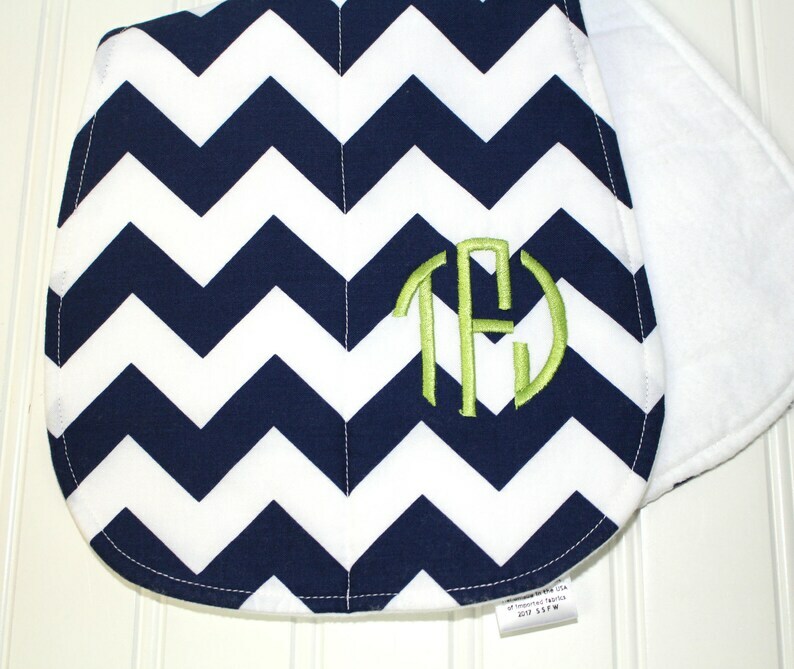 These navy burp cloths would be perfect for either a boy or girl. Want to mix and match colors? We would be happy to!! Just indicate your color choices in the notes to Seller. Infantly Cute Burp Cloths are boutique quality with triple layers to keep you extra dry and your baby comfortable. Our contoured burp cloths are designed to comfortably fit your neck & shoulder, providing the ultimate in coverage & absorbency. Fully lined with 100% cotton "Warm and White" batting. 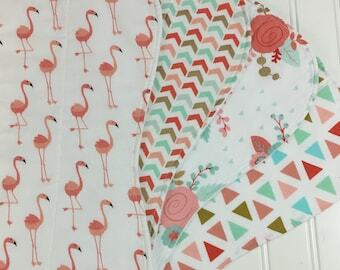 Our burp cloths feature designer fabrics on all fronts. We use a high quality quilt shop flannel fabric on the reverse side. We have found that using flannel as the backing helps to keep the burp cloth in place.